Every year, millions of pounds of food goes to waste in Seattle. We’re not talking about the avocado you forgot in the back of your fridge. We’re talking about good food from restaurants, grocery stores, manufacturers, and farmers. Food Lifeline works to reduce that waste, rescuing more than 44 million pounds of food last year alone, and redirecting it to more than 275 food banks, shelters, and meal programs. 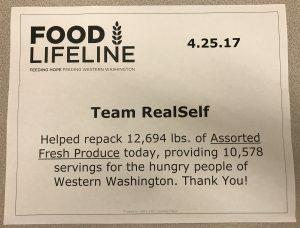 Sorting and repacking that much food requires a lot of help, and this week the RealSelf Local Giving team chipped in. After learning about the Food Lifeline operation and touring the facility, a few of our employees got to work sorting pears. 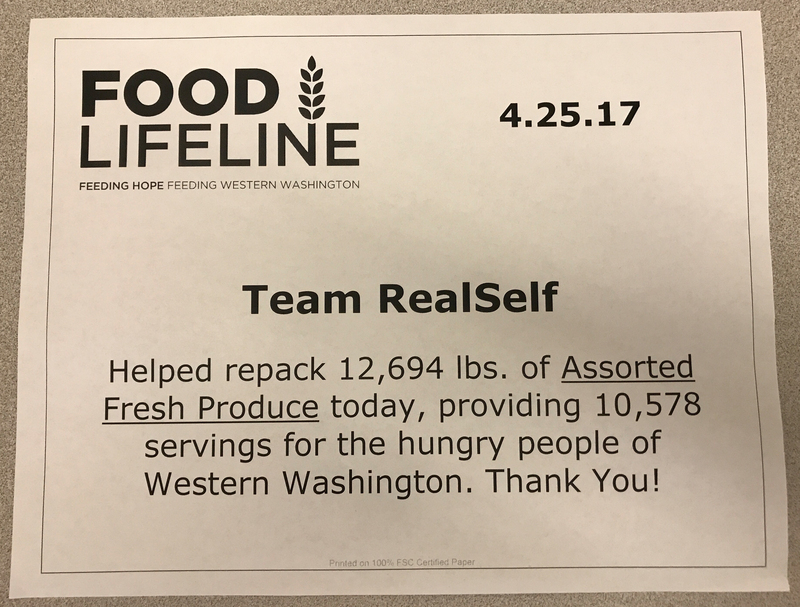 Additionally, as part of National Volunteer Week, it was perfect timing for the RealSelf team to support our community. Their efforts will go beyond Volunteer Week, and they are already planning philanthropic activities for summer and fall. Food Lifeline has flexible and family-friendly volunteer hours. There are opportunities during the day and at night during the week and on the weekend. 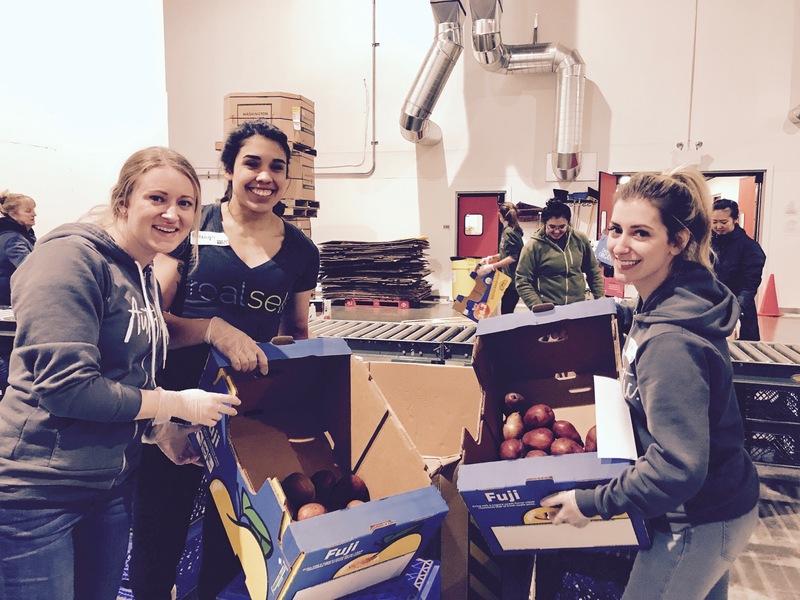 The robust operation is part of the reason why Food Lifeline is able to provide 90,000 meals every day, accounting for 30 percent of the meals served by food programs in Seattle. If you’re interested in volunteering with Food Lifeline, you can register on their website. Want to work for one of Seattle’s best companies? We’re hiring! Apply to join our team today.